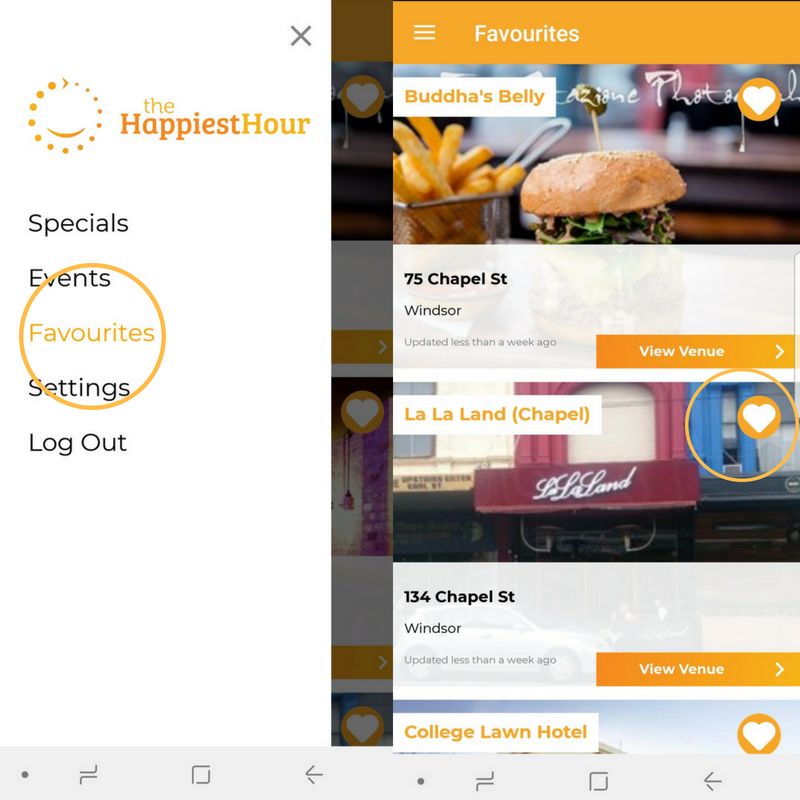 Over the past 7 months we've been working hard on a new app to incorporate much of the feedback that users have been giving us over the years. We ended up doing a complete rebuild, so it took a while, but we hope you like it. We'll also be continuing to make improvements and tweaks over the upcoming months. Click your app store below to download/update to our latest app. Once you have the new app installed, let’s take a moment to show you how it all works. 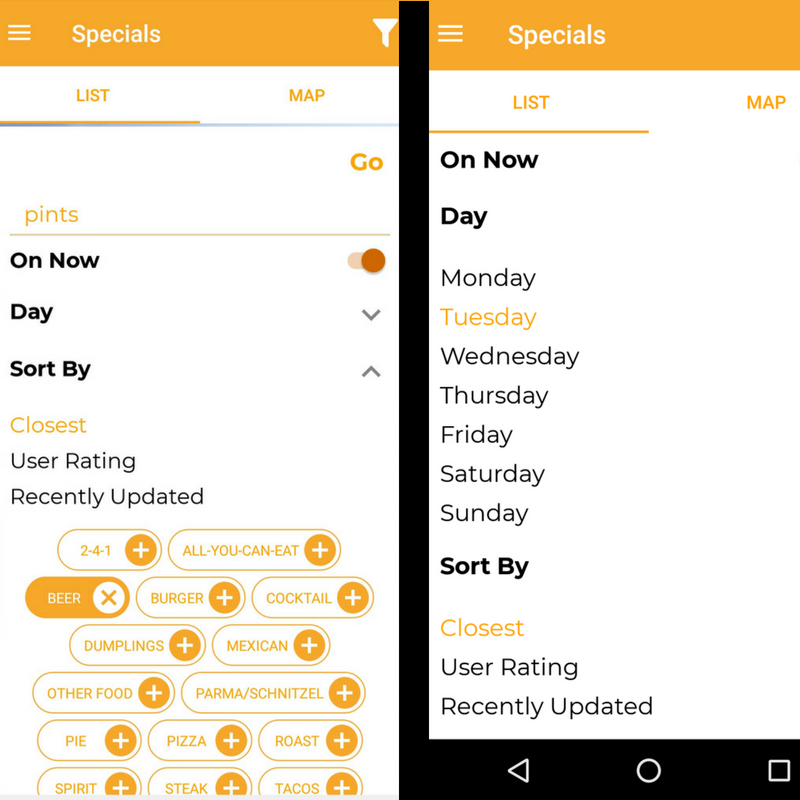 You can either use the List View or the Map View to find specials. The search defaults to your location. A popular way to search in different locations is by dragging the map around and clicking "Search Here". Easy! Search for specific days and types of specials when you click on the filter icon in the top right. You can also search by the newest and highest rated specials (see how ratings work below). Game changer! 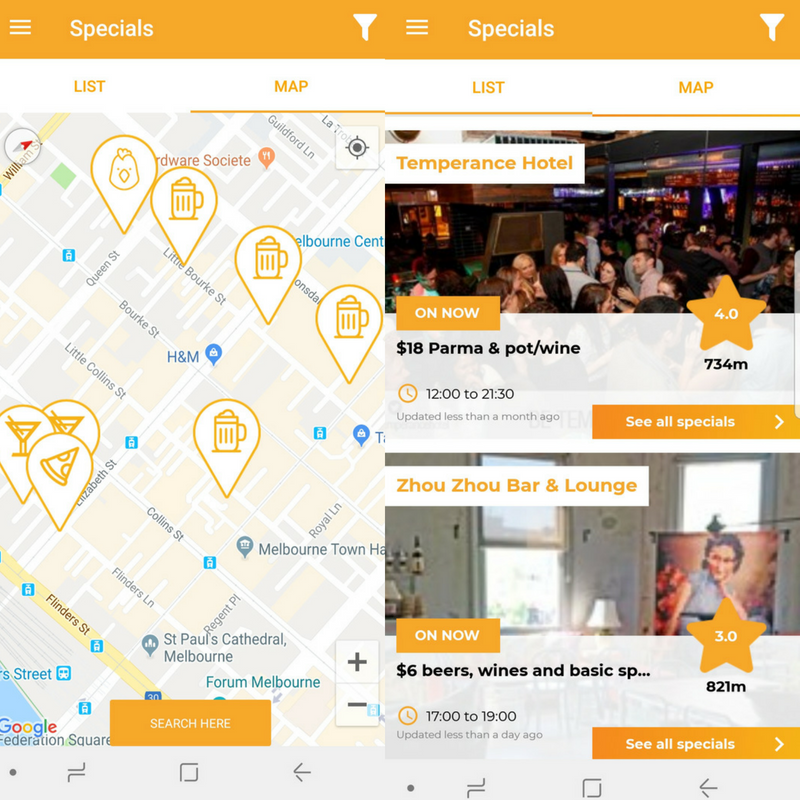 Be the first to know when you favourite venues update their specials! To favourite a venue, simply click on the heart symbol, and you'll get a notification whenever they update their specials. You can access your list of favourites by clicking the favourites tab as shown below. Awesome! You can then search for specials based on their rating. We all want the best specials to get the exposure that they deserve. Share people! 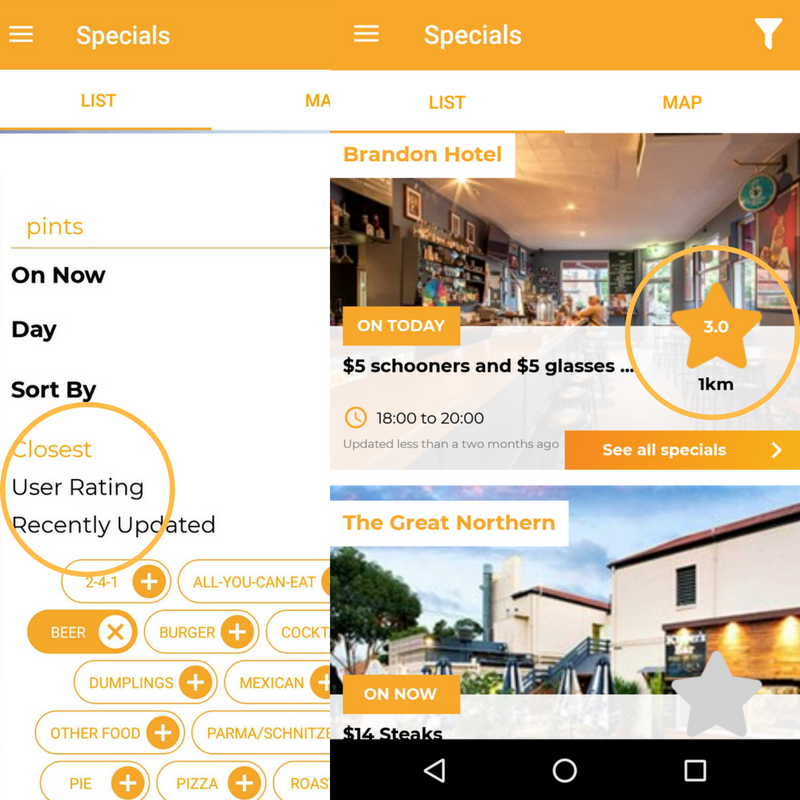 One of the biggest criticisms of our old app was that specials would go out of date. What we've implemented in this new release, is that if a venue hasn't validated a special within a certain period, they get hidden from the platform. If you do encounter an incorrect special, press "Report Invalid Special" on the app and the venue manager will be notified immediately. We've also got a bunch of new features lined up in development for the upcoming months which we'll be in touch about soon. In the meantime, if you have any feedback about this new app then please fill in a 2 minute feedback form here.